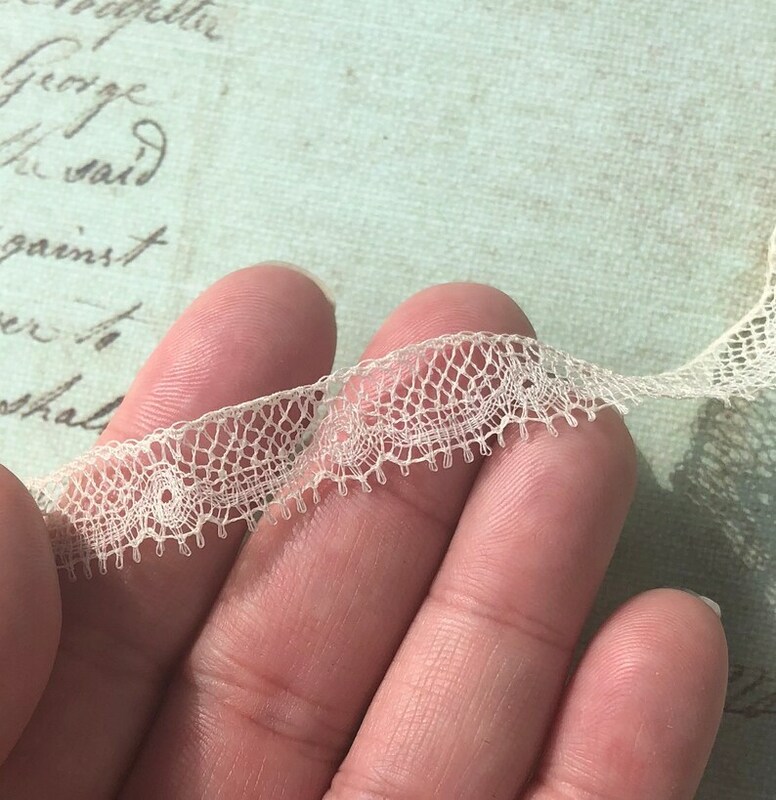 This is charming vintage French Valenciennes lace with a picot edge! I think this lace is silk or a silk/cotton blend. Perfect for lots of projects. This trim is 3/8 inch wide, and this listing is for 2 yards, 25 inches. This lace is in very good condition.